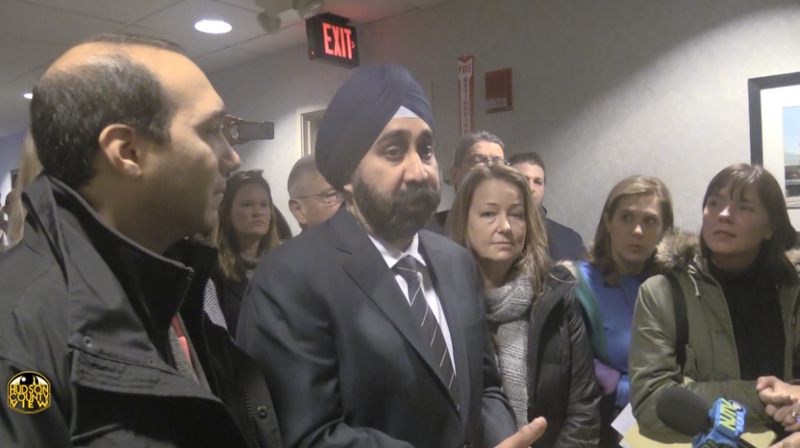 Just when it seemed like the friction between Hoboken Mayor Ravi Bhalla and five members of the city council had begun to subside, the two sides are exchanging heavy political punches ahead of tonight’s meeting where the council will vote on a new hotel plan. “Help convince the Council to vote YES! That’s why your help is critical – we can’t take any chances on this important vote. We need you show up to ensure that the Councilmembers put politics aside and support these benefits at Wednesday’s council meeting!,” Bhalla said in a mass email sent out yesterday. 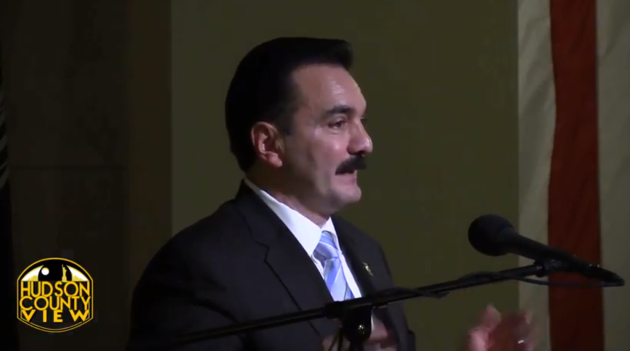 According to multiple sources with knowledge of the situation, Bhalla and the city council members who sit on the Hilton Hotel redevelopment subcommittee – Council President Ruben Ramos, 1st Ward Councilman Mike DeFusco, 2nd Ward Councilwoman Tiffanie Fisher, 5th Ward Councilman Peter Cunningham and 6th Ward Councilwoman Jen Giattino – had been arguing about language in the resolution specific to the YMCA. 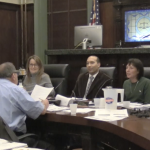 DeFusco, a staunch political nemesis of Bhalla, took the mayor to task over his email, given that the two parties just issued a joint statement on Friday aiming for unanimous approval for the Hilton Hotel plan – which would include about $4.85 million in community givebacks. “Confused why @RaviBhalla is sending out emails asking the Council to stop “playing politics” on Hilton proj. when we’ve already worked hard to better the terms + are busy preparing the agreement w/his office. Imagine that,a false narrative from this mayor!,” the councilman tweeted, with a link to the aforementioned story from HCV. Bhalla, who rarely engages with DeFusco on social media, this time was quick to return fire. 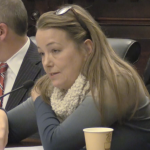 “Umm, maybe you’re confused because as recently as this morning you were trying to eliminate givebacks such as a community pool & indoor recreational facilities at the former Y. False narratives? 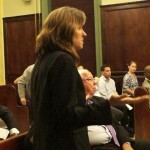 Take a look in mirror Councilman, stop lying to the public, & vote YES for Hoboken!,” he responded. 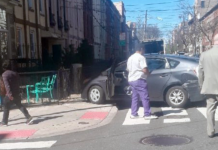 In typical Hoboken fashion, that was just the beginning of the back and forth. “This is an outright lie and a new low for you Mayor. I’ve expressed concerns on specifics of givebacks to make sure they’re legal, but have always been on record supporting the Hotel project since it was first proposed, back when you were against it. Remember that?,” DeFusco countered, later pointing out his concern was recreational giveback money going someplace besides the HCC. 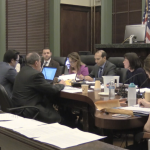 “I sure do hope those emails you sent today asking to eliminate guarantees of a public pool and indoor recreational at the former Y are subject to the Open Public Records Act (hint, hint …),” Bhalla answered. This was just one example of a longstanding conflict, that came to a head early last week when the council majority pushed for the hotel developer, KMS Development Partners, to contribute to the city’s charter schools (the public education foundation was already slotted for $1 million). 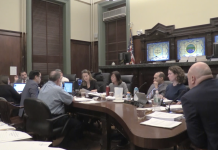 After this successful effort, with the three Hoboken charter schools now expected to collectively receive $485,000, it looked like cooler heads would prevail and everyone was on the same page … but that was very short lived, even by Mile Square City standards. “I am so incredibly angry about this email that I don’t know how to even respond,” Fisher began in her own mass email that hit inboxes last night. Expressing disappointment with the renewed conflict, she assured the recipients that she expects the plan to pass with ease, noting that in her opinion, Councilman-at-Large Jim Doyle is the only official upon the dais who may vote no. 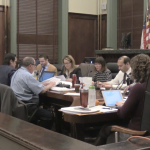 In an email chain forwarded to HCV, some officials also voiced concern over whether or not the city had the ability to provide givebacks to the HCC. 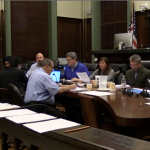 The city council is expected vote on the Hilton Hotel Redevelopment plan during the early portion of their meeting, scheduled for 7 p.m. at City Hall, 94 Washington St.
Ravi is a liar and his staff in the mayor’s office follow the leader. Bunch of liars who lie to everyone’s faces. They lied to us about the charter funding. Ravi wanted us to write letters publicly thanking him for the council’s efforts on our behalf after he snubbed us. How many screen names you got pal? Hatin all day is gonna make you nuts. Does ravi need a restraining order?